Kaizer Chiefs’ under-17 right-winger, Katlego Mashego, looks nothing like a footballer. He is short, has small shoulders, a narrow chest and skinny legs that seem as if they can barely kick a ball. But when he puts on the club’s gold jersey, he transforms into a potent attacker, beating defenders with clever feints and speed. Labelled the team’s star player by his coach, the former Bafana Bafana midfielder Arthur Zwane, Mashego represents everything that is right with development football at the moment. 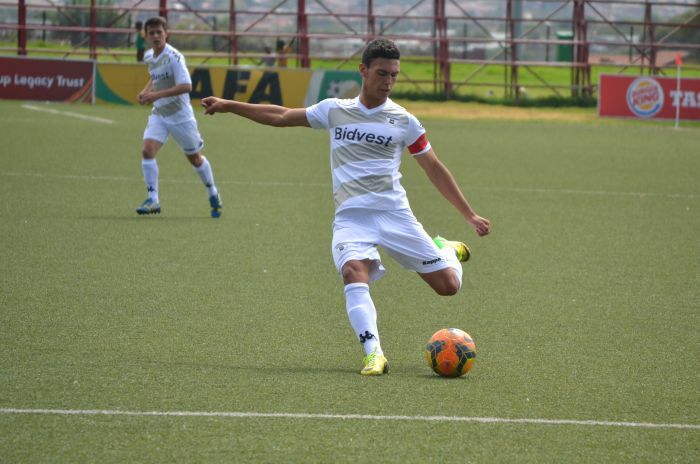 The tournament forms part of Safa president Danny Jordaan’s drive to overhaul youth football in a country where the game at development level has been neglected in recent years. This is evident in that the last time Safa hosted this very same tournament was in 2010. In his first public statement as president of Safa last September, Jordaan implied that South Africa did not have a large pool of young players. He pointed out that Germany played about 80 000 junior matches over a weekend; Spain played 30 000 and France had 40 000. South Africa did not come close to those numbers. “If you find 3 000 matches in South Africa, you’re doing well. That’s the problem,” he said. But Jordaan is already working on that issue. The 2010 FIFA World Cup Legacy Trust, which he helped to set up, will provide the funds for development tournaments like the under-17 championship. FIFA put aside R450-million ($42.6-billion) for football development in South Africa. Already, R17.1-million has been ploughed into the establishment of Safa under-13 and under-15 boys’ and girls’ leagues in 311 local football associations around the country, with regional and provincial championships tied to them. These leagues and championships are meant to develop players who can compete in the 2022 Qatar World Cup. Jordaan’s youth development focus has a clear goal: to make South Africa one of the top three countries in Africa and to place them in the top 20 on FIFA’s world rankings. But to get there, a number of improvements have to be made. Jordaan mentioned one of his ideas at the launch of the Safa under-17 Inter-Provincial Tournament. In an ESPN blog, South African sports writer Firdose Moonda said that while Jordaan’s implementation of nationwide age-group leagues was admirable, his aim to make South Africa a top 20 team would not be realised if there were not enough skilled coaches at youth development level to ensure children were guided properly. Moonda suggested that the game be reintroduced to the country’s top sporting schools, which had the best facilities. She added that teams should tour regularly and play against good opposition as a way to continuously measure themselves against the best. There had to be a pipeline that led exceptionally talented players to academies – and to be contracted to clubs – so that they were constantly learning and viewed football as a viable career option, she added. He admitted that a lot of work needed to be done on the under-17 team, which had failed to make an impression in the last two tournaments in which it had participated. That meant Mashego and his national under-17 teammates would have to have longer training camps, more rigorous drills and lengthier playing seasons, Chenia said, to ensure they qualified for next year’s CAF African under-17 Championship in Niger. Mashego is eager to work hard for his success, an attitude he expresses clearly on the field. “At the moment I would say that I have the ability [to succeed] because at Kaizer Chiefs we train at a high intensity every day so that when we go into a game we don’t struggle. And I think that helps me as a player to go anywhere in the world to compete,” he said. – This article was previously published on Media Club South Africa.com on 17 April 2014.